1989 was a great time for American sports cars, from the Mercedes SL to the Cadillac Allante, nearly every manufacturer seems to be making sporty two-seaters. 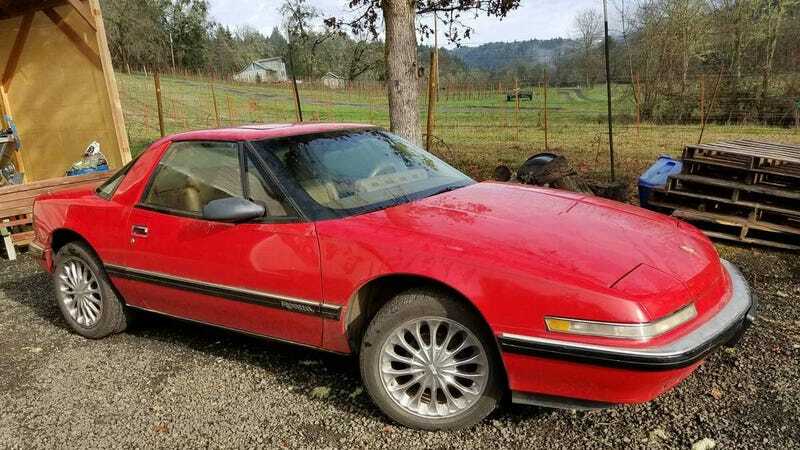 Anyone in the market for a decidedly Radwood-era roadster may be interested in this 1989 Buick Reatta for sale on Craigslist in Oregon. At $4,500 it may be a little steep but that’s the price you pay for a car with a working touchscreen from nearly 30 years ago. That’s right, for 1989, Reattas were equipped with a CRT touchscreen that controlled the radio and climate control. If sickly green vector graphics in the console of a Buick aren’t enough to convince you, I don’t know what will. In addition to the touchscreen, this Buick is in very good condition for having over 144,000 miles on the odometer. It was apparently owned by the seller’s grandfather who babied it. It also appears to be the subject of a recent tune up and some engine work so it might have enough life left in it for some fun. The current wheels on the Reatta lean more towards Autozone than I am comfortable with but fortunately the original wheels are included with the car.